Learn to lead key projects to successful and timely completion. Project management is one of the most useful fields you can learn in business. Many industries require leaders to manage projects of various scales to enhance the business’ growth or improvement. Developing a sound knowledge of project management concepts will vastly improve your success. Our Diploma of Project Management covers all the essential stages of managing projects. You'll learn to manage the scope and risks of projects, control timing and cost, and sufficiently resource the project to a profitable conclusion. Our program is practical and relevant. Your knowledge and experience will be developed by experienced professionals. You’ll be able to apply project management skills in a variety of project contexts across a range of industries. Your capability will enable you to take responsibility for achieving project objectives, and pursue job opportunities as a project manager or leader, vendor manager, contract manager or project administrator. Learn internally, online or any blend. Our programs are designed to fit around your needs. Study entirely online (anywhere) or come into our campuses in Brisbane, Gold Coast, Sydney, Port Macquarie, Melbourne, Adelaide and Perth. Reduced Upfront or Monthly Payment Plan via Credit Card or Direct Debit. Our Diploma of Project Management (BSB51415) is structured around 4 Units of Study each with a duration of 12 weeks. Units marked with a # require the practical demonstration of skills in a simulated work environment. A variety of options are available to complete this including through a private one-on-one or small group assessment (in person or via Skype), submitting a video recording, or in your own workplace. Progress through your course is achieved by completing an assessment book for each unit of competency and the 1 practical demonstration. If over 21-years of age: either meet the aforementioned requirements or be able to demonstrate sufficient life experience (work or study). Estrada College is committed to providing transparent and fair policies for students. Details of relevant fees, dates and policies for this course are available here. All Nationally Recognised Training Programs are subject to regular industry review and modification from time to time. The information included in this Course Outline is indicative of the final curriculum but may not necessarily contain all units necessary for completion of the qualification. In the event of any changes or expansions to the course, you will have the opportunity to complete your current course, or to transition to the new course. Please refer to the Teachout of Courses policy in the Student Handbook. Please contact your Student Support Centre if you have any questions about the requirements to complete your course. You need to adhere to the due dates shown for each unit to ensure you complete your course within the appropriate timeframe. If you are having difficulty meeting the timeframes, please contact your Student Support Centre to discuss your options. 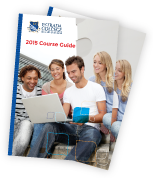 A summary of the Employability Skills developed through this qualification can be downloaded from www.training.gov.au. An Assessment Book and Project Documentation (from either a workplace or simulated project) are completed for each topic and 1 practical is completed as part of this course. Progress through your course is achieved by completing each unit’s assessment book and project documentation as well as one required practical (by seminar, video or private assessment). Please contact your Student Support Centre if you have any questions about the requirements to complete your course.